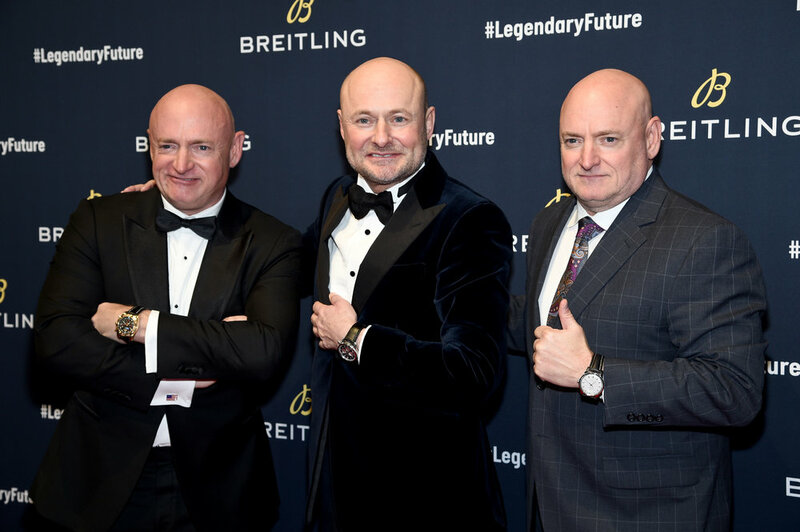 As February came to its end, Breitling, world-renowned Swiss watch brand, launched its new Navitimer 8 collection to an elite crowd in New York City. This was the first time North America saw this new collection alongside a collection of vintage watches, presented to more than 300 distinguished guests from Australia, Latin America, Canada, and the United States. Breitling had their new global CEO, Georges Kern, there to present the brand's next adventure and chapter. Some of the guests included Houston Astros World Series pitchers Justin Verlander, Dallas Keuchel, and Lance McCullers Jr., motorcross champion Ken Roczen, former NFL quaterback, and CBS NFL commentator Boomer Esiason, former austronauts Mark and Scott Kelly, and American actors Darren Criss, Olivia Munn, and Armie Hammer. Georges Kern became the CEO of Breitling last summer and has since been committed to bringing Breitling into a "legendary future." This new line was particularly special to him, claiming that he was "very proud" to be unveiling a collection that "is a salute to the brand's innovations and accomplishments in the pioneering days of aviation." The name of the collection (Navitimer 8) comes from a tribute to Willy Breitling and the Huit Aviation Department founded by him in 1938. The "eight" refers to the "huit" in the name of the aviation department, referring originally to an eight-day power reserve that was essential for onboard timekeeping instruments on planes, but not for wrist watches. So this new line takes inspiration from early pilot watches, while still orienting itself towards the future. Chronograph collector Fred Mandelbaum also made an appearance at the event, bringing his own 60 vintage Breitling watches to appear along with the new collection.